At Swan Lake Gardens and Lotus at Siam Thai Day Spa we take our responsibilities very seriously. The health and well-being of our customers is important and we use best practices to maintain their integrity, health and safety. We continuously improve our practices to deliver excellence at all times. We will offer world class services and our customers are the reason for our existence. We will treat our customers, with traditional old fashioned service and the utmost of respect, in accordance with ancient Thai traditions, mixed with New Zealand culture, where east meets west. Our team of service providers will deliver world class experiences at all times and we will train them in all respects. We will offer our customers, the best quality and value for money. The health and well being of our customers is important and we will use best practices to maintain their integrity, health and safety. The environment in which we work is an important part of our lives and we will respect it and maintain best practices at all times. We will continuously improve our practices and deliver excellence at all times. We will deliver a magical experience. 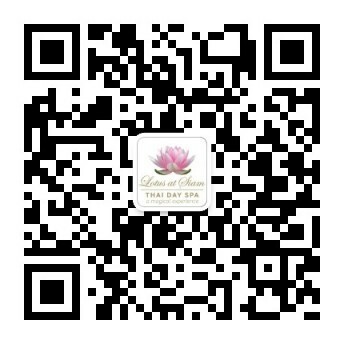 We reserve the right to charge a 50% non-refundable deposit on all Lotus at Siam Thai Day Spa bookings. We are committed to providing a safe work place for our dedicated team and we care about their health. We run an active health and safety plan, as required under New Zealand law and we train our team. We continually monitor hazards and record all incidents. We care about our clients and to that end it is the job of everybody at our business to provide a safe and healthy environment for our clients. We will use the best practices to ensure the best and most efficient use of our resources. The environment in which we work and live is important to us and to that end we will use the best practices to manage the best and most efficient use of our resources. We desire to be world class in our pursuit of excellence for the environment and minimise waste. It is our duty to minimise the use of energy, to be efficient in our use of water and to tread lightly on the property we operate from. We must recycle wherever possible. We have an obligation to ensure we do not contaminate the surrounds of our property and business. Every day and everybody in our business will make sure we make continuous improvements to protect the environment we live in. We enjoy the environment we work in and we must be efficient in our practices to make sure that we leave our work place better than we found it.